Happy Friday! Today’s post I initially planned for a few weeks from now. However recently a friend of mine told me she was forced to go gluten-free by her doctor and instead of bombarding her with everything I know on the subject, I promised a post so she and others can refer back to it! So here goes. 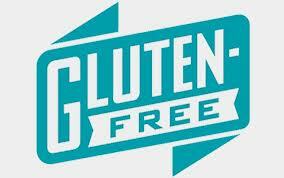 A lot of people are forced to go gluten-free by a direct order from their doctor for health reasons. Some are positively tested for celiac’s disease while others are diagnosed to have gluten intolerance. Either way, going gluten-free was one of the most daunting experiences in my life. Whether you realize it or not, food is an integral part of every person’s life no matter how much they enjoy it! My reasons for going gluten-free, though not so clinical, were definitely out of concern for my health. I will share my whole story at some point because it is rather long, but I wanted to share how I cope with a gluten-free lifestyle TODAY to help those who are struggling with this or are just starting! First and foremost, if you have been told by a doctor that you need to start eating gluten-free, I would highly suggest getting the test for Celiac’s Disease. Those who suffer from Celiac’s and Gluten Intolerance suffer from the same symptoms, however if you have Celiac’s and ingest even the littlest big of gluten from cross contamination, it can start to destroy your small intestine! Those with Celiac’s have to be extra careful going out to eat or eating at a friend’s or relatives for that reason; they have to be extra picky about the questions they ask those who are preparing their food for them! The first thing I did after realizing I must eat gluten-free was go through my entire kitchen and remove EVERYTHING that contained gluten: flour, condiments, bread, wraps..everything. If you have other family members who can eat gluten, you can put those products in a place together so as not to cross-contaminate anything you eat that is gluten-free. For me, I gave it all away to friends and family! Eliminating gluten-containing foods forced me to read labels. There were some obvious items, such as bread, that I knew contained gluten, but others such as soy sauce caught me by complete surprise! I am going to give a HUGE piece of advice: A lot of products that SHOULD be gluten-free, meaning their actual ingredients do not contain gluten, really are not gluten-free. If the label reads some variation of this: “This product processed in a plant also processing wheat”, then you are at risk of cross-contamination and should not eat that item! For me, and from what I’ve read a lot of other people who have gone gluten-free, this was the most discouraging experience in the whole process! I would look at water crackers and think, “These HAVE GOT to be gluten-free!” — nope. Water crackers? Really? It didn’t make sense to me and I found myself huffing and puffing out of every Stop & Shop, Price-Rite, and Ocean State Job Lot looking for a snack that didn’t contain gluten. It was at this moment that I started to break down. I was hungry and all I could think about was what I couldn’t eat. I was given the book Living Gluten-Free for Dummies by Danna Korn when I first went gluten-free but I never picked it up. I decided it was time to do some SERIOUS research. The book changed my life! No really – it did! She talks a lot about the affect gluten has on our bodies but also how to deal with going gluten-free emotionally and mentally. One of the most important tips she gives is to focus on foods you CAN eat and prepare them in ways that are delicious, appealing, and able to be duplicated. You can buy her book on amazon here. For those of you just going gluten-free, here are some not so obvious foods that you definitely want to check. Soy Sauce: every soy sauce that I checked out in the market has gluten in it. After doing a ton of research I found a product with no calories, no gluten, tastes just like soy sauce, and is all-natural! 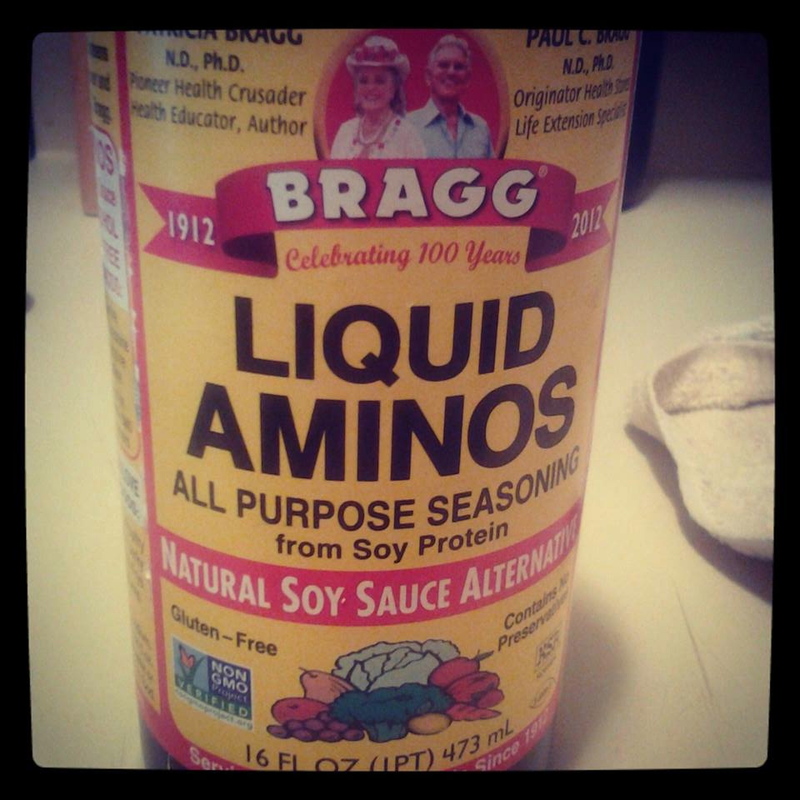 It’s called Bragg’s Liquid Aminos – you can get it at any market in the organic foods aisle! Bouillion Cubes: This one shocked me and drove me nuts! Definitely check your labels! Herb Ox is the brand I use and you can get them at Stop and Shop in the soups aisle! They are a little more expensive but well worth it! Dry-Roasted Peanuts: I have yet to find a brand of dry-roasted peanuts that are gluten-free. However, peanut butter IS gluten-free for the most part depending on the brand. Check your label! When it comes to something that I cannot find gluten-free, I tend to think I probably shouldn’t be eating it anyway and cut it out of my diet. Those are probably the three actual products that were most surprising to me and that taught me to read every label. I feel like a broken record!!! But I cant stress how important that is. It is better to know and be frustrated than to ignore and feel like crap! My best advice to you is to stick to naturally gluten-free foods that don’t even have labels! Now your probably thinking, that is a pretty bland diet. Well it doesn’t have to be!! Just last night I made meatless meatballs with lentil and black beans! They were delicious and had the texture of actual meatballs. Both Gluten-free and vegetarian. (recipe to come very soon). Over the last 7 months I have experimented with so many different foods and ways to combine and season them. It has actually become very fun – almost like a game. Definitely try to find the positive while going gluten-free and challenge yourself to create something nobody thought of. It can be a nice hobby and you will enjoy eating so much more!! Please comment for any further questions and stayed tuned for my Lentil and Black Bean “Meat”balls!! Yes, you DO need a meal plan. You plan the rest of your life right? Operation: Wedding Slimdown — The Beginning! Why are fruits and veggies better than high fattening foods?